Hello everyone! The Aintree Festival is almost here (4th-6th April) and to get our readers in the mood for Horse Racing, we wanted to let you know about the special offers and promotions! 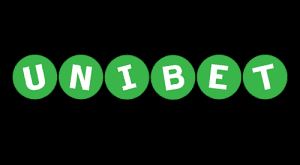 Firstly, we are delighted to announce that Unibet is paying 7 places on this years Grand National. T&Cs – New customers only. 18+, BeGambleAware.org. Min deposit £10. Money back as a bonus. Wagering requirements: Sportsbook 3x at min. odds of 1.40 (2/5), Casino 25x. Only one bonus can be used at a time, Sportsbook bonus must be wagered before using the Casino unless the bonus has been forfeited. The bonus will expire after 7 days of opt-in. This promotion is not to be missed, so make sure you head over to the promotional page. It’s a quick and easy registration process if you are not already a member of this casino. When you place a horse racing bet, if the early price on the selection is smaller than the starting price, they will pay out at bigger odds. The best odds guaranteed offer is available daily on all UK and Ireland horse racing bets. This is from when your bet is placed. It applies to single and multiple bets placed at early prices and up to twenty-five thousand pounds (£25,000.00) per customer per day. Oh and don’t forget that you can watch and bet on all UK + IE Horse Racing with Unibet TV!